UAW to resurrect 'Buy American' campaign: That's according to the Detroit Free Press, which quotes UAW leader Dennis Williams saying "No company … can survive without the market of the United States of America," and that it's time Americans started using that power to say "enough is enough." But the problem of identifying what is exactly "American" hasn't gotten any easier since the 1980s during the campaign's heyday. Foreign automakers build much of what they sell in the U.S. here, while American firms are often using Mexican labor for part of their supply chains. 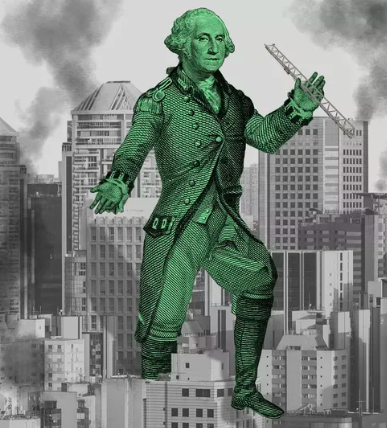 The great American debt machine: CNNMoney published the eye-grabbing headline, "Household debt is dangerously close to 2008 levels," based on New York Fed data showing that consumer debt climbed by $460 billion in 2016, the largest jump in close to a decade. But the debt profile of American consumers is much different today than in 2008, while the income and assets we're holding as collateral have changed too. Mortgage debt increased by 2.8% last year, but that's actually a slower pace than the growth in overall home values, and roughly in line with income growth. The real drivers of debt of late have been auto and student debt. Though 11.9% of student loans are either delinquent or more than 90 days late, that figure has not been rising in recent months, so no alarms just yet. Who will run Trump's Fed? Obama-era gridlock has left President Trump the chance to reshape the central bank. There are two open seats on the seven-member board, which serves staggered 14-year terms. Janet Yellen and Vice-chair Stanley Fischer's terms are up at the end of next year. Deustche Bank names four possible choices for the Trump Fed, including monetary hawks John Taylor and John Cochrane. These two would be no-brainers for another Republican, but as Trump has abandoned the strong-dollar policy, it's difficult to see how he could justify choosing these avid interest-rate hikers.